There is something about New England and its iced coffee. People will dig their car out of the snow, or plow their driveway — and then come in and have an iced coffee. It’s not uncommon to see someone walking down a wind-tunnel street, bundled up, and carrying a cup of iced Dunkin’ Donuts coffee. No temperature, it seems, is too low for an iced brew. Cold brew coffee has been sweeping the high-end coffee industry, too, with top shops trying to capture a purer taste in a cold cup. The Cold Bruer device was developed about two years ago by mechanical engineer Gabe Herz and industrial designer Andy Clark, who had realized there was a market for cold coffee but few devices to make it. They started a Kickstarter in September 2013 with a goal of raising $30,000. They ended up with nearly $200,000. 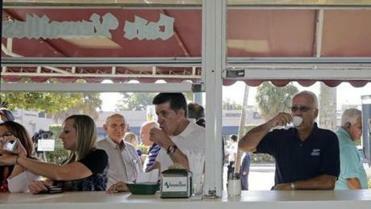 Will Americans be able to taste Cuban-grown coffee? Sure, changes in Cuba policy could mean more cigars. But it could mean more coffee, too. They tried at least 15 prototypes — including some that would be an accessory to a Chemex brewer — but ended up with one that is almost all glass so that you can view the whole process. That also means a high price point: The device, which makes 20 ounces at a time, retails for $75. I confess that I usually like my coffee hot. But I recently tested out the Cold Bruer — with some Ethiopia Kochere coffee from Verve Coffee Roasters — and was impressed. It’s silky and smooth. Not bitter at all. And, even after a day or two of sitting out, not at all like a cup of coffee that has sat out too long. The instructions are also incredibly easy. Basically it just requires measuring out your water, your coffee, and then putting them all together. You then have to adjust a valve to ensure you get about one drop of water going through per second. Then you wait. For four hours. That was the hardest part. You sort of have to predict when you’re going to be craving a cup (that said, once it’s brewed, it can last for a few weeks). 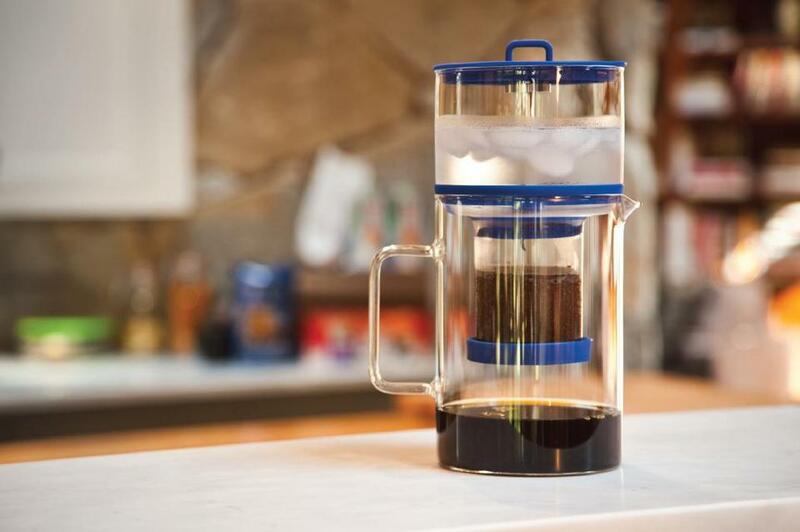 For the nerdy coffee folks: There is an immersion process, where you let the coffee and water sit for 12 hours before draining all at once; companies like Toddy and Filtron have offered these devices for a long time (this is the French press version of cold brewing). The difference with the Cold Bruer is that it is a drip process, where you let it drip through a filter over a long period of time (it’s the pourover version of cold brew). For the scientists: Brewing cold coffee takes time because of the change in water temperature. Coffee flavors are extracted much quicker using a higher water temperature. In this case, because you’re using colder water, you have to increase the amount of time of the brew in order to extract the taste. The different temperatures also changes the shelf life: Hot brews stay fresh for about 30 minutes; cold brew can stay fresh for several weeks. The guys at Cold Bruer right now are trying to figure out how to make a bigger device, which can make more coffee and be used in coffee shops. If you’re really into it, their blog has some fun items worth a read. They’ve done different experiments. What if you brew the coffee quicker, or slower? What if you taste it before it’s finished brewing? What if you change the grind of the beans? One question they have yet to explore: What if you want to use your Cold Bruer in the snow?